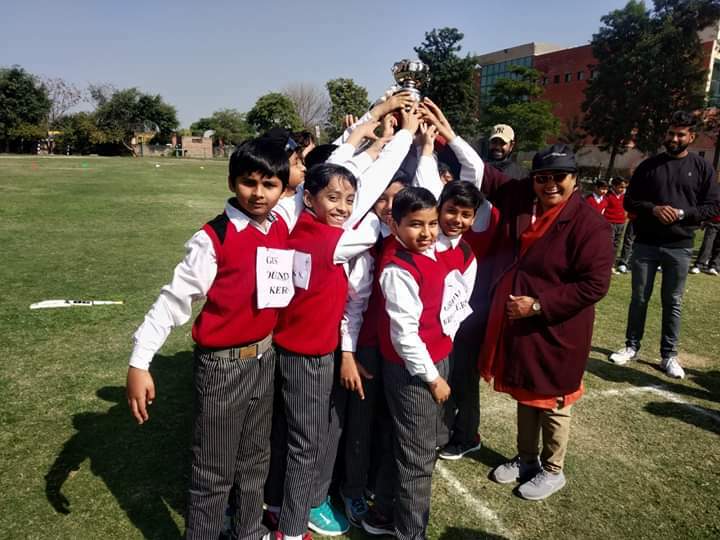 GIS Juniors organized a cricket match on 9 February 2018(Saturday) between the students of class IV (GIS Trophy Fighters) and class V (GIS Ground Breakers). Both the teams played exceedingly well. GIS Ground Breakers showcased their strength and won the Winner’s Trophy. Master Jujhar Singh was honoured as Man of the Match.